When filing a personal injury claim, most people tend to assume that receiving a compensation will be a straightforward process. However, due to their complicated nature, personal injury cases can take unexpected turns much to the surprise of many. To succeed in your personal injury claim, you must do a lot more than rely on a strong legal team. Below are 7 reasons why you can lose a personal injury claim and how you can avoid them. For you to stand a chance of receiving compensation, you must prove to the court that you played no role in sustaining the injuries. Of course, it is only natural for the defense team to counter your accusations by claiming that you had a role in the events that led to injury. If you are found to have played a part in sustaining your injuries, then chances of compensation become really slim. Therefore, before filing for your personal injury claim, it is prudent to critically analyze the turn of events. By conducting a self evaluation, you will be in a position to determine whether you can be held responsible as the case progresses. In the legal world, an accuser must prove and back up every claim for a case to be considered. As such, for your case to receive the attention it warrants, it is vital that you document every process since the occurrence of the injuries. Sadly, due to either inexperience or ignorance, most plaintiffs fail to document the important details when filing their personal injury claims. Once the injuries occur, you must be ready to document and preserve every vital information from police statements to your doctor`s report. Since the defendant will be keen to lighten or disregard your accusations, keeping every single file or report will ensure you can back your accusations. Documents from law enforcement or medical agencies hold a lot of weight and can help you win your case. However, if you do not preserve your documents, you might end up losing the case despite sustaining serious injuries. While it is not advisable to exaggerate your injuries, downplaying the impact of the injuries does not help either. 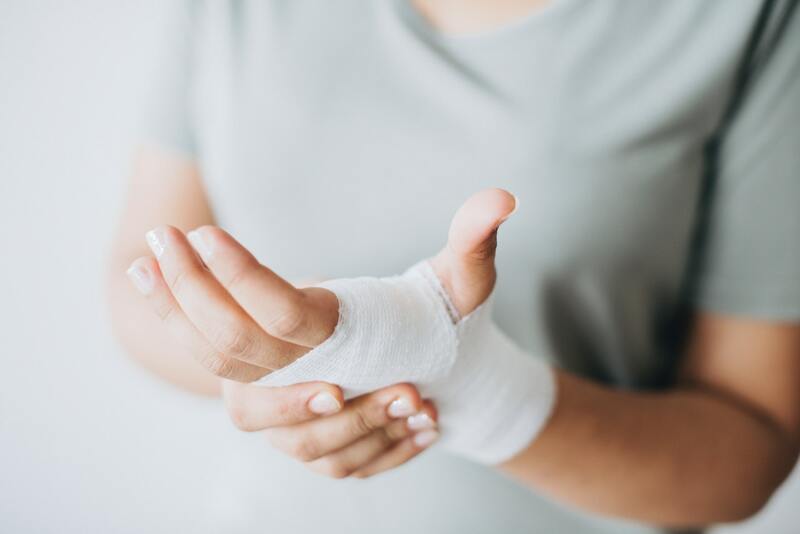 As you look to file your personal injury case, it is crucial to remember that your compensation will be determined by the severity of your injuries. Therefore, failing to seek medical attention after an accident due to fear of expenses might end up harming you in the long run. The defense team will be desperate to belittle your claims,and if given a chance, they will make you appear as a greedy individual looking to capitalize on a slight injury. If you want to receive adequate compensation for the injuries sustained, then you must avoid downplaying the severity of the injuries. Do not miss any appointment with your doctor, and avoid taking up too many tasks during your recovery period. For the court to compensate your injuries, there must be adequate proof of actual injury in the first place. Due to the fear of additional expenses, some people prefer to file personal injury cases without the assistance of a legal team. As murphyslaw holds, not everything goes according to plan. Therefore, as you plan to file your case, you must anticipate the prospect of facing a powerful defense team that can belittle your accusations with ease. In most cases, plaintiffs who opt for self-representation end up losing their cases, or in the rare occasion of winning, receive little compensation that cannot cater for medical costs or basic sustenance. Although representing yourself might appear tempting, it is advisable to seek the services of qualified experts. Dealing with a lawyer ensures that you have a legal team to support and advice you on how to conduct yourself throughout the case. Even more importantly, having a lawyer on your side will help you come up with strategies on how to approach the case. Put simply, if you want to win your case and receive compensation, then you must be willing to keep your lips tight. Avoid giving more information than required. In recent times, many people have failed in their personal injury claims due to the use of social media. Although social media might help you communicate and share your recovery journey with friends and family, the defense team can use what you post to downplay the severity of your injuries. To get that compensation, you must learn the art of conscious communication where you censor your words and your social media posts. If anything, it is advisable to avoid talking about your injuries with anyone other than your doctors or direct family members. Whether you are filing for the first time or you’ve done it before, anxiety is inevitable at some point during the case. The court environment is usually new to most people; due to this, most plaintiffs end up terrified and unable to communicate effectively. However, having your lawyer on standby can come in handy, more so when you are required to make official statements. As your lawyer will tell you, sticking with one version of a story is mandatory to winning a legal battle. All your statements from the time of injury will be used once the case proceeds. As such, you must be careful to provide a truthful and consistent version of your story throughout. It goes without saying that for your case to succeed, you must provide enough evidence to incriminate the accused. Since most accusers do not have enough legal experience, a large number have mishandled, lost or destroyed vital evidence that could be used to determine liability. Luckily, if you have a proper legal team, you will be advised on the dos and don’ts of filing a personal injury claim. Remember, the quality of evidence provided by your team will go a long way in determining whether you fail or succeed in your claim.